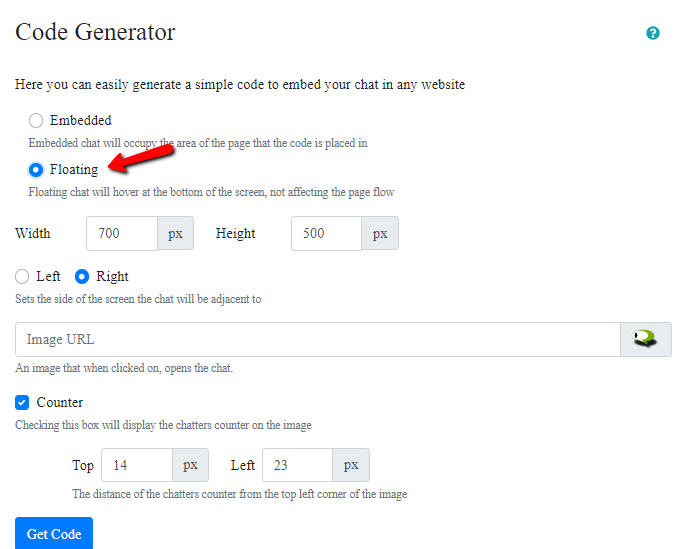 Adding a floating chat in the footer of your website is easy. You can choose between adding a floating chat on the bottom right or left of the page. 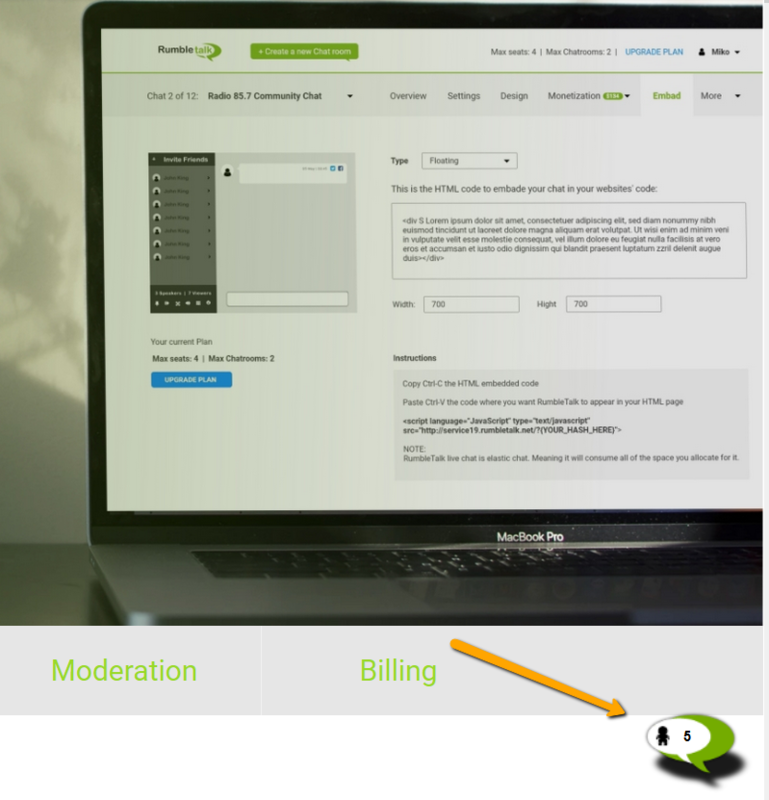 Login to your admin panel from the RumbleTalk home page or create a new account. The admin overview will open. Add the chat code after clicking on the floating option. Previous postCan I make live video or audio calls in the group chat room? Next postI don’t have a website; can I still use RumbleTalk group chat?